There was a time in India when being an entrepreneur got you really sad looks, and a hopeless marriage profile. Then the Silicon Valley found its second home in India, with Bangalore being the first choice, and saying that you were the founder of a ‘startup’ became the new cool. What started in the mid-2000s as a trickling bunch of California-bred NRIs looking for greener pastures to spread their wings has now become a tour de force of innovation and technology, so much so that the government decided to start its own scheme called ‘Start Up India, Stand Up India’ in 2015 to give this rapidly growing sector a helping hand. It is a smart move to rope in and formalise a chaotic industry that still managed to bring in $3.5 billion (Q2-Q3 2016) in angel and direct investments. So, yes. The startup boom in India has begun full flow. We rank third globally with over 4,200 startups and the number is set to increase to 10,000 by 2020. The sector employs over 85,000 professionals and is proving to be an important growth engine for India’s economy and society. With around three startups being born every day in the country, one just has to ask – how will the new tax laws under goods and services tax (GST) affect a sector that is probably the next best thing since the internet boom of the 90s? What is really good about GST? Increased limits for registration: Under the current tax laws, any business that deals in goods and makes a turnover of Rs 10 lakh per year has to register under the home state tax laws and get a tax identification number. For a service provider, this limit is set at Rs 9 lakh. The GST council however, has chosen to set the limit for registration at Rs 20 lakh (Rs 10 lakh for northeastern states and Uttarakhand). Introduction of a ‘DIY’ compliance model: Startups love DIY—whether it is writing code or filing tax. GST aims to make taxation transparent and with all tax processes going digital, startups that lack the resources to hire tax experts or a dedicated team for handling compliance can rest easy. From taxpayer registration, return submission, to tax payments and refund claims, startups can file details online. Free flow of goods and services: According to research done by Telecommunications Consultants India Ltd (TCIL), a truck carrying goods in India covers an average of 250-400 kms a day, compared with 700-800 kms in European countries. Much of this is due to the long wait at checkpoints. While states have asked for e-permits to replace the standard transports bills instead of doing away with it completely, one can hope that it will improve logistics and speed of transport of goods. No more confusing laws: Indian states have very different VAT laws which can be confusing for companies that have a pan-India presence, specially the e-com sector. For example, online websites (like Flipkart and Amazon) delivering to Uttar Pradesh, have to file a VAT declaration and the registration number of the delivery truck. Tax authorities sometimes seize goods when there is a failure to produce required documents. Again, they are treated as facilitators or mediators by states like Kerala, Rajasthan and West Bengal which do not require them to register for VAT. With GST, since it will subsume VAT and other taxes, startups will only have to comply with a single nationwide tax. This should also enhance India’s ranking on the World Bank’s ‘Ease of Doing Business Index’ where currently we rank at 130. High liquidity: Many bootstrapped startups face the problem of having their capital stuck in tax refunds. But with GST making the processes easier and faster, startups can file for tax refunds online and hope to get their money on time. Ergo, high liquidity. It is important to note that the threshold limit of Rs 20 lakh (for registration) does not apply to startups in the e-com sector. Startups in the manufacturing sector may have a hard time, too, once the new laws are in place as under the existing excise laws, only those manufacturers with a turnover more than Rs 1.50 crore have to pay excise. However, with the implementation of GST, the turnover limit has been reduced to Rs 20 lakh, thus increasing the tax burden for many manufacturing startups. 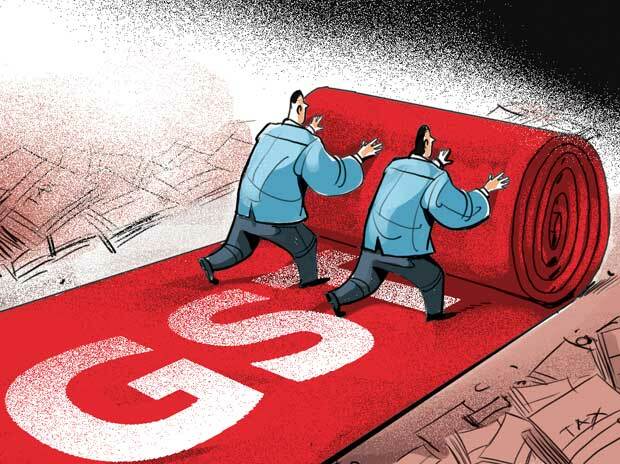 Despite this, experts and industry analysts are hopeful that the benefits of GST will outweigh its cons, and it will prove to be a lucky charm for Indian startups. Fingers crossed, amigos!